We’ve all heard the old adage: Plan your work and work your plan. When it comes to securing payment for construction work using mechanic’s liens, this definitely holds true. In response to enthusiastic feedback about our recent lien article, we are expanding on the topic to highlight state-specific requirements. 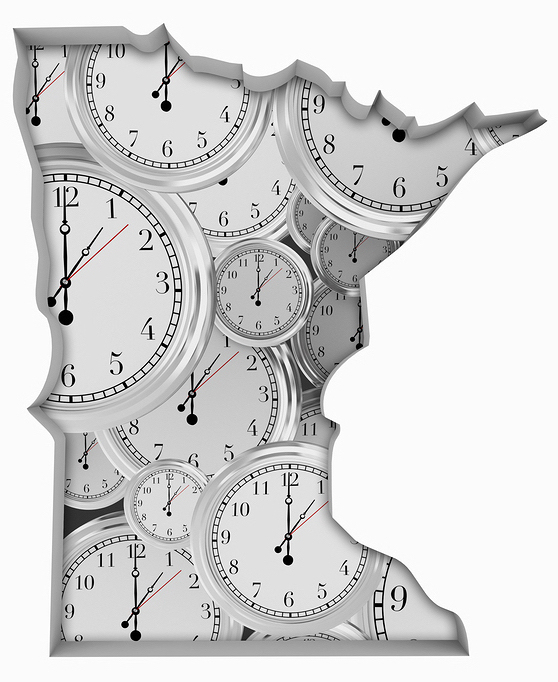 The first of Welle Law’s four practice states we will cover is our home state of Minnesota. For any contractor who works on private property in the Gopher State, the strict requirements of Minnesota’s mechanic’s lien law should be part of your payment strategy. First, your work must contribute to the improvement of private real estate. In Minnesota, “improvement” is broadly defined as any contribution of “labor, skill, material, or machinery for any purpose specified, which includes the alteration of any building.” Minnesota’s mechanic’s lien law recognizes broad categories of covered improvements, including engineering, surveying, clearing and grubbing, repairing or removing structures, excavation, utilities, grading, paving, and landscaping, to list a few. Second, you must be eligible to make a claim under the statute. This includes anybody that contributes to the improvement “by performing labor, or furnishing skill, material or machinery.” In Minnesota, contractors who fail to obtain necessary licenses may not be eligible for a mechanic’s lien. If you contract directly with the property owner, you must insert pre-lien notice directly into the written contract, if any. If there is no written contract, give pre-lien notice to the owner by personal delivery or certified mail within 10 days of agreeing upon the work. For subcontractors and material suppliers, give pre-lien notice to the property owner no later than 45 days after you start work. Even though there are rare exceptions to pre-lien notice requirements, there is no reason not to play it safe and do this whenever you work on private property in Minnesota. Conveniently, Minnesota’s mechanic’s lien statute provides the exact language to be used in all pre-lien notices, which can be found here. Under Minnesota’s mechanic’s lien law, you must record a lien statement with the recorder of deeds for the county where the improvement is located within 120 days after your last date of work. The lien statement has to meet several requirements listed in the statute. You also need to give a copy of the lien statement to the property owner by either personal service or certified mail. Think about how quickly the last year passed. This is the window to enforce a lien through direct negotiations. Long before the one-year anniversary of your work, consult a construction attorney (if you haven’t already!) about bringing a foreclosure action. A notice of lis pendens (“litigation pending”) has to be filed with the county recorder. And as a final resort, you can pursue payment by obtaining a judgment and foreclosing on the property. 0 DAYS Document your last date of work. Invoice as soon as possible. 60 DAYS Contact your customer to check on payment. Let them know your policy is to file a lien if you’re not paid within 90 days. 90 DAYS Contact the property owner as a courtesy to let them know that a lien will be filed if you are not paid immediately. 120 DAYS DO NOT MISS THE DEADLINE! Preparing the legal descriptions and invoices necessary to file the lien can take time, so start this process early and find help if needed no later than the 90-day mark. 11 MONTHS If you have not consulted a construction law attorney about bringing a foreclosure action, this is the time. Mechanic’s liens are a tried and tested remedy to secure payment when your work improves private property. Of course, they’re only successful if you have—and work—a good plan. Stay tuned for future articles highlighting liens in Iowa, North Dakota, and South Dakota.